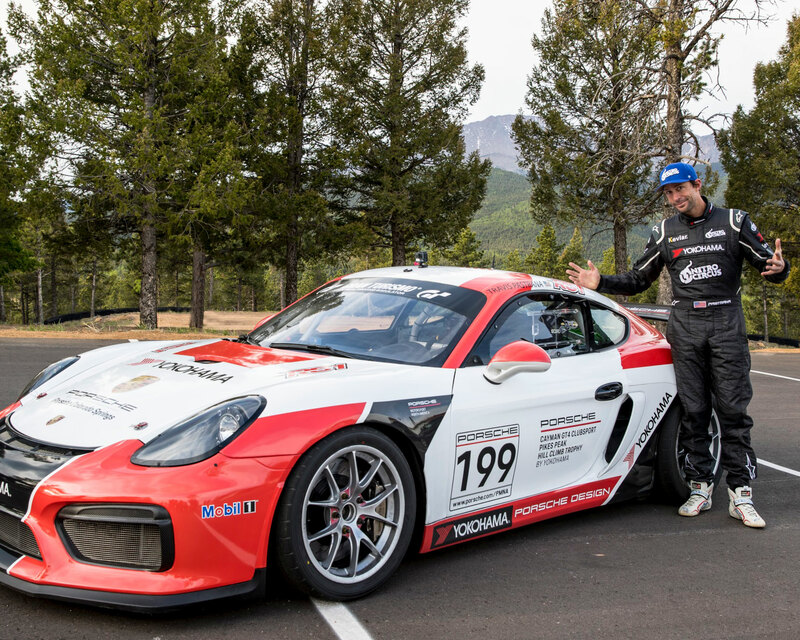 The tiremaker has partnered with Porsche Motorsport North America and is the sponsor and exclusive tire supplier for the Porsche Cayman GT4 Clubsport Pikes Peak Hill Climb Trophy by Yokohama, a new, invitation-only class in the world-famous Broadmoor Pikes Peak International Hill Climb, June 24 on the historic course near Colorado Springs, Colorado. All eight entries will compete on Yokohama off-the-shelf ADVAN A052™ tires, including Pastrana, who has raced in a wide array of vehicles and venues. Pastrana competed in the Rally Car class at the Pikes Peak International Hill Climb twice (2004 and 2005). Pastrana finished first in 2004 in Rally Group X in his rookie year on Pikes Peak driving a Subaru WRX with a time of 13:10.30. -- Yokohama’s history at Pikes Peak. -- Photos and videos from testing. -- Live and exclusive updates during race week. -- A virtual reality link of Pastrana during a test run. -- Porsche GT3 Cup car photo: Yokohama will have a real Porsche 911 GT3 Cup race car for fans to sit in the driver’s seat and have a free photo taken to share and take home. -- The VR Experience with Pastrana: Fans will get a chance to “see” what it’s like racing up the mountain during a test run in Pastrana’s Porsche Cayman GT4 Clubsport via virtual reality. Yokohama will give away VR headsets to the first 200 fans who visit the booth so they can take them home and “race” with Pastrana. -- Custom Pikes Peak skateboard contest: Fans at the race (or at home) can take a photo of anything that’s Yokohama Tire-branded, post it to Instagram or Facebook (using #yokohamapikespeak) and be in the running for a custom Yokohama Pikes Peak skateboard designed by Bear Walker. The new class – the first official one-make Porsche category in the 96-year history of the “Race to the Clouds” – is exclusive to the Porsche Cayman GT4 Clubsport. Running in the Pikes Peak Challenge Time Attack Division, three variants of the mid-engine Porsche Cayman GT4 are eligible: the Clubsport, the IMSA GS class-spec Clubsport and the international GT4-specification Clubsport MR. The Porsche Cayman GT4 Clubsport is the race variant of the popular road-going Cayman GT4.